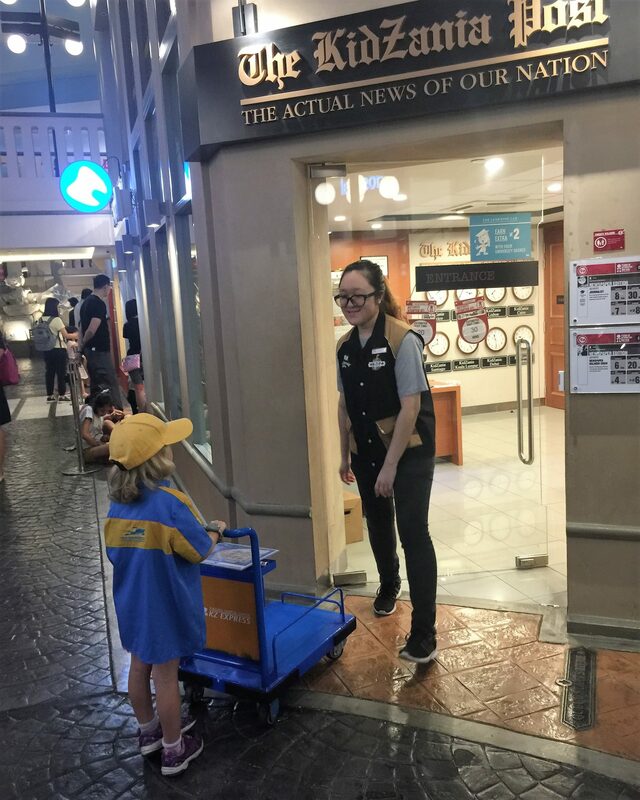 “Awesome!” “Amazing!” “So so so much fun!” “This is the best place ever!” – just some of the things our kids have had to say about KidZania Singapore. And you know what – I completely agree. In fact, the whole time we were there I kept thinking over and over – ‘why wasn’t there a place like this around when I was a kid?’. It is an absolutely incredible concept and one so unique and well executed, I already want to take the kids back. 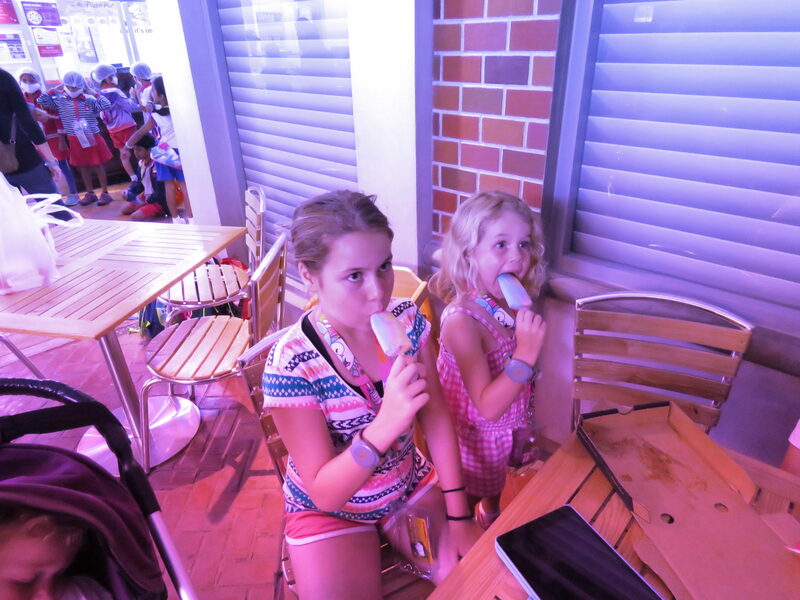 And (as they tell me most days), they certainly want to go back! Again and again and again! 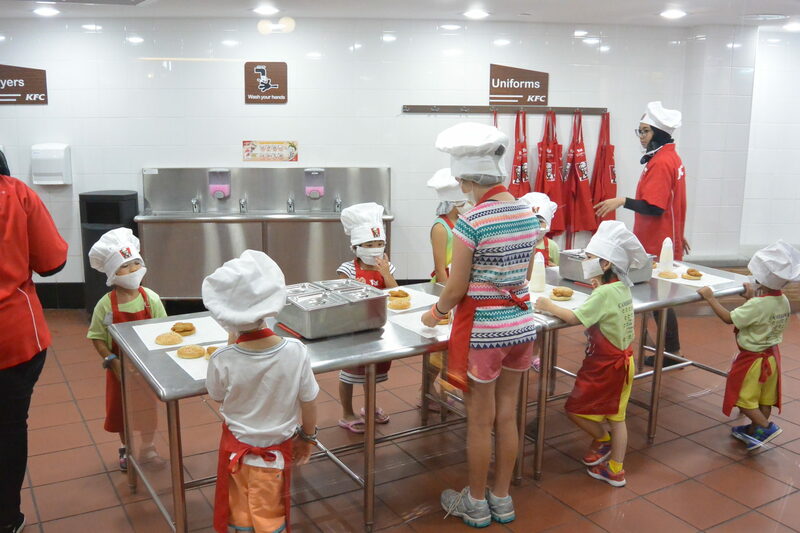 KidZania Singapore is essentially a world for kids. A place where kids rule and adults take the back seat. 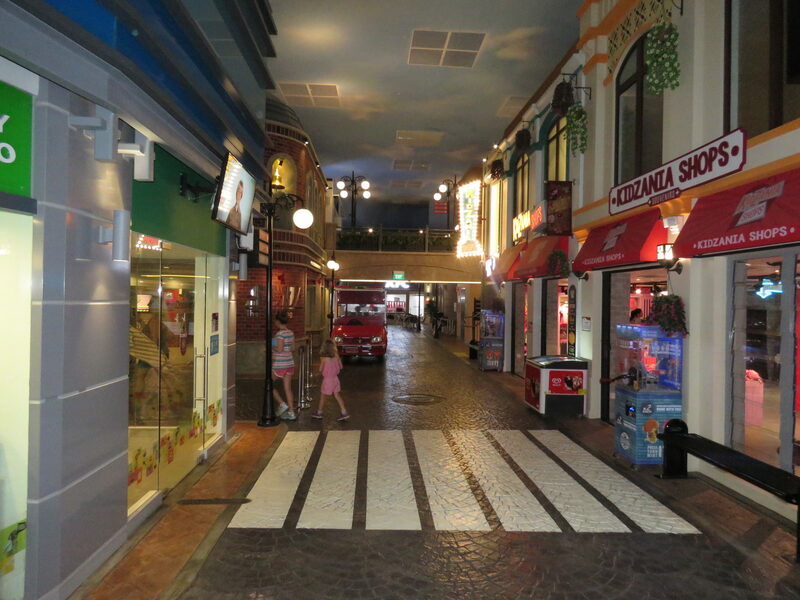 The indoor theme park is basically a kid-size world, with buildings, vehicles, shops and establishments, all built to be the perfect size and ratio for kids (yes, I bumped my head more than once….)! 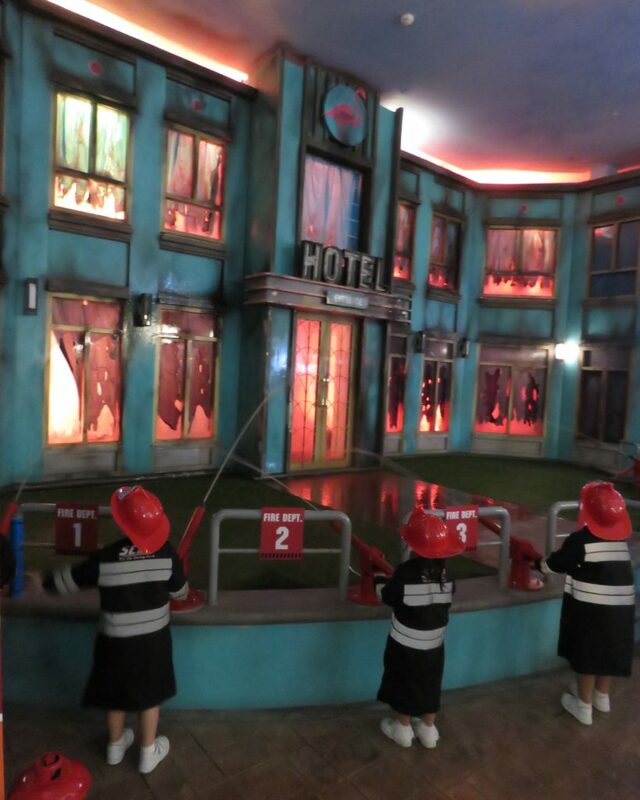 In KidZania children run the city. They have jobs where they learn their trade and earn money (KidZo’s) while doing so. Educational and fun at the same time – win, win! 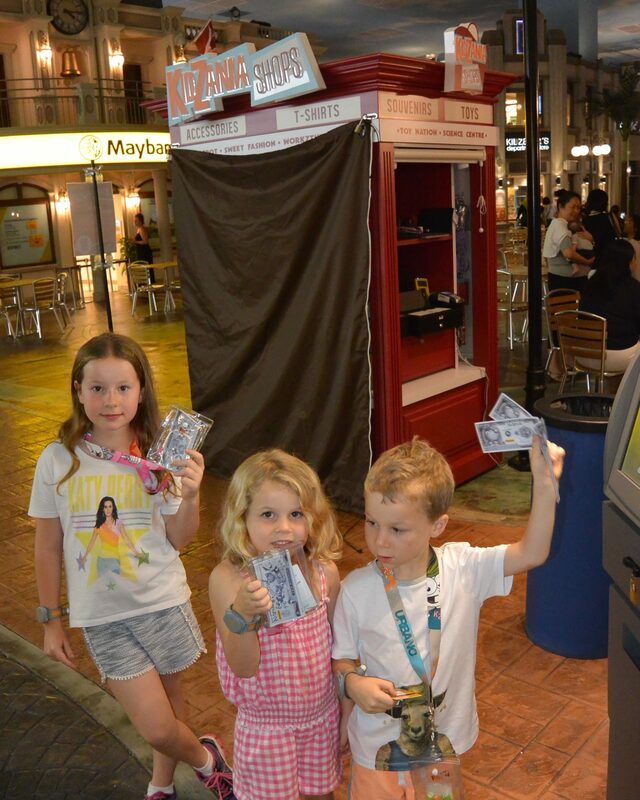 Before entering KidZania, each child (from age 4+) is issued with their own credit card as well as some KidZo’s. They can then go to the bank and activate their credit card and deposit and withdraw KidZo’s as they earn and/or spend them. 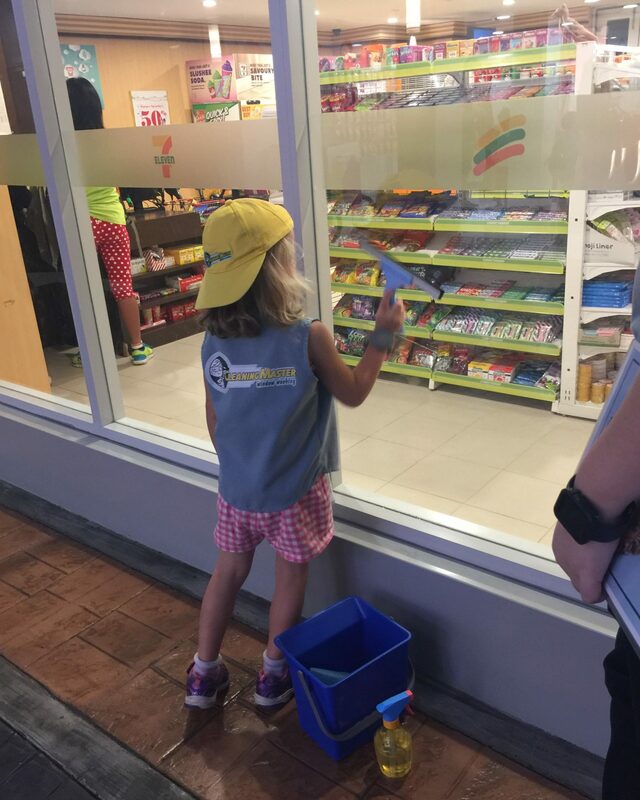 There is a small shop in KidZania where children can buy gifts with their KidZo’s. 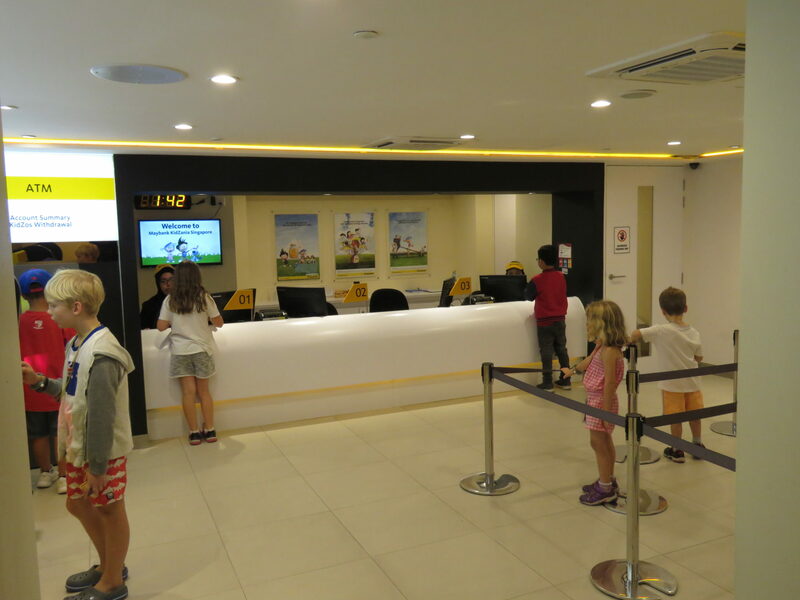 If they haven’t made or saved enough to purchase anything by the end of the day, they can save their money and bring it along next time to any one of the 24 KidZania’s around the world. 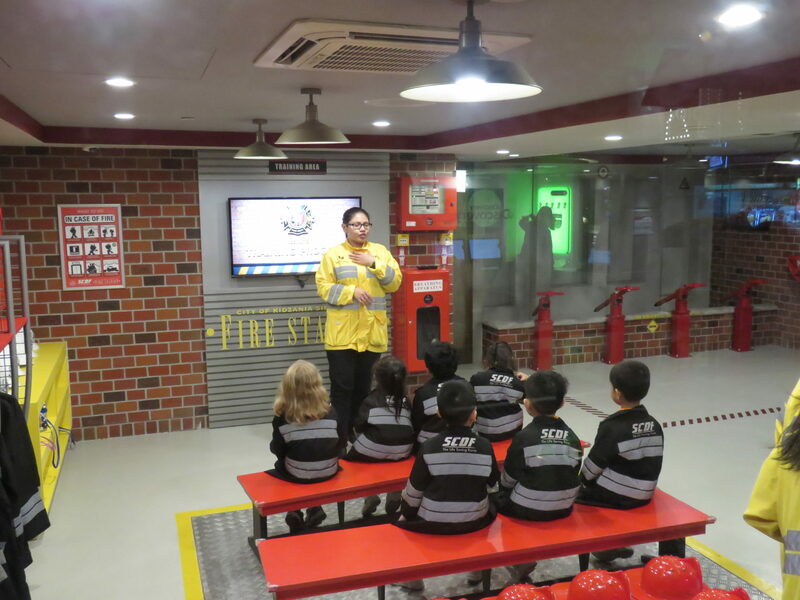 When we first walked in to KidZania Singapore our children were in absolute amazement. And so were we! It really was a little city. Streets lined with buildings and shops. Lamp posts, ATM’s, street signs. Even the roof is painted blue with clouds to feel as if you are looking up at the sky! I knew straight away that our kids were in for an unforgettable day! Each job/profession has a sign out the front showing how much KidZo’s you will earn or have to pay, doing that particular activity. Most pay 8-10 KidZo’s. Those where the children get something at the end (candy maker, pizza chef etc) cost 10 KidZo’s. The signs also state how many children can do the activity at a time, how long each session takes and if there is a minimum age or height for that particular activity. 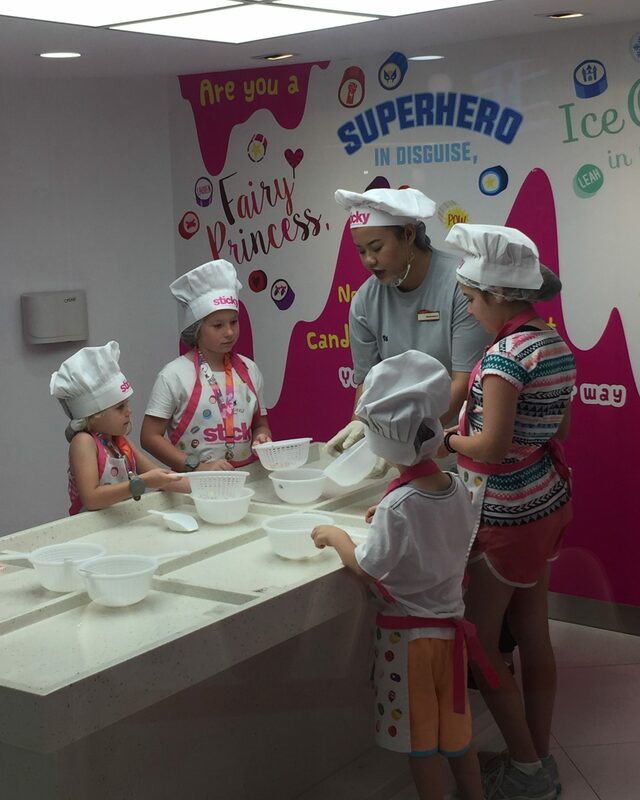 With more than 60 different role-play experiences to choose from, our kids didn’t know where to begin. Fortunately (and I highly recommend this) we arrived as the park opened and had allocated pretty much the entire day to being there. 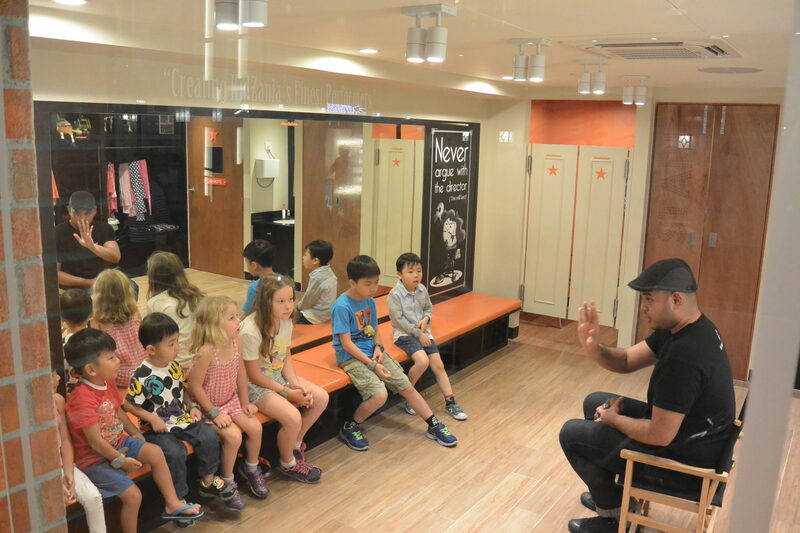 We simply told the kids to decide which activities they most wanted to do, and work their way through as many as they had time for. With each going for roughly 20 minutes, they all managed to get through a lot! 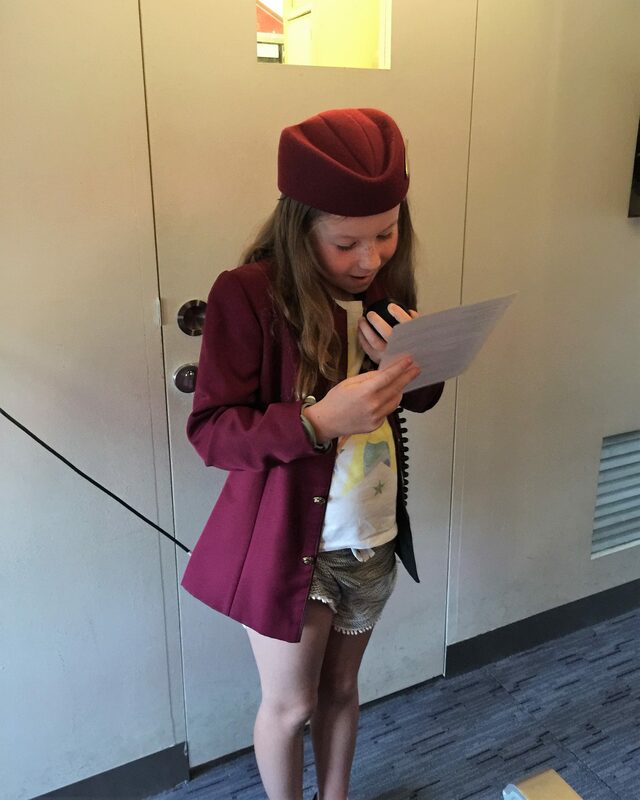 Our two eldest started off being cabin crew on a Qatar Airways Boeing 737. 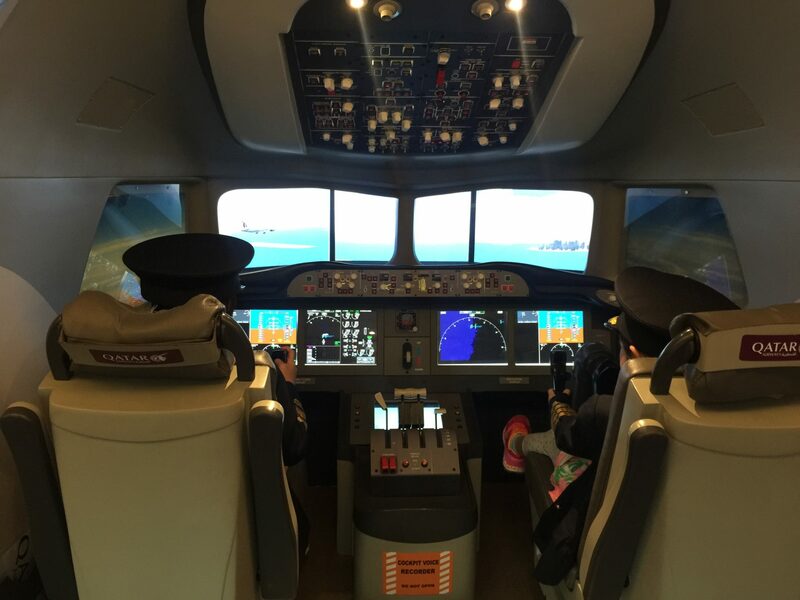 Cool fact – KidZania Singapore is the only KidZania in the world to house a full-wing fuselage of a Boeing 737! 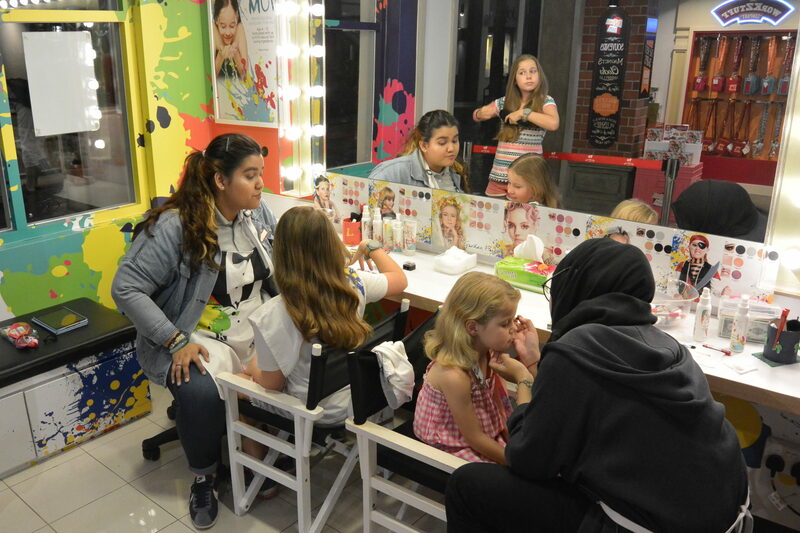 While parents are generally not allowed in the rooms where the children are doing their activities, instead watching through windows, there are a few where parents can be involved. In this instance, I was a passenger on the plane being served by the girls. I think I was as excited as them and couldn’t wait to be called in so I snuck in early and watched as they got dressed, were briefed on their roles and talked through just what a cabin crew member on a plane needs to know and do. It was incredible to watch and the girls were in their absolute element. As with every experience the children took part in throughout the day, the staff running them were brilliant. 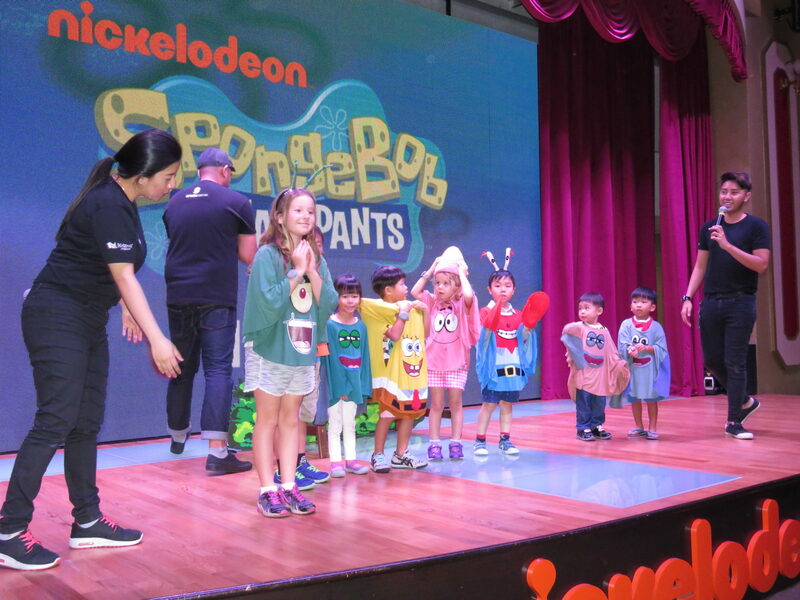 They really put in the effort to make it fun and exciting for the kids while also teaching them, in detail, the ins and outs of each particular profession. Korey’s first job was as a police officer. He put on his uniform and was taught all about the importance of police and just what they are here to do. He then went out on a mission to secure the area around an out of control fire. Lucy was a firefighter and after donning her gear and learning the trade, she had to race out in the fire truck and put out the fire. Absolutely brilliant! 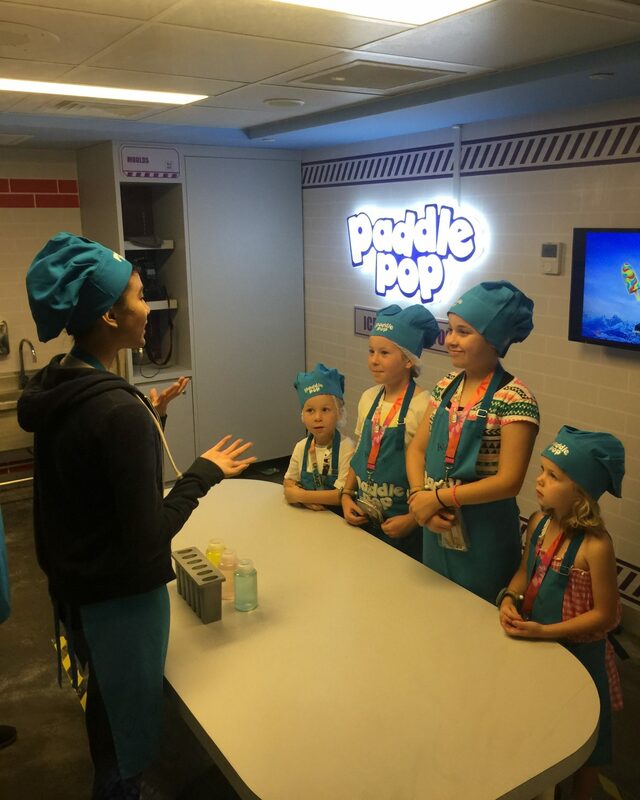 Next up all four kids were ice-cream makers and learnt how to make one of their favourite ice-creams – a rainbow paddlepop. Many of the experiences are sponsored by different companies (eg. 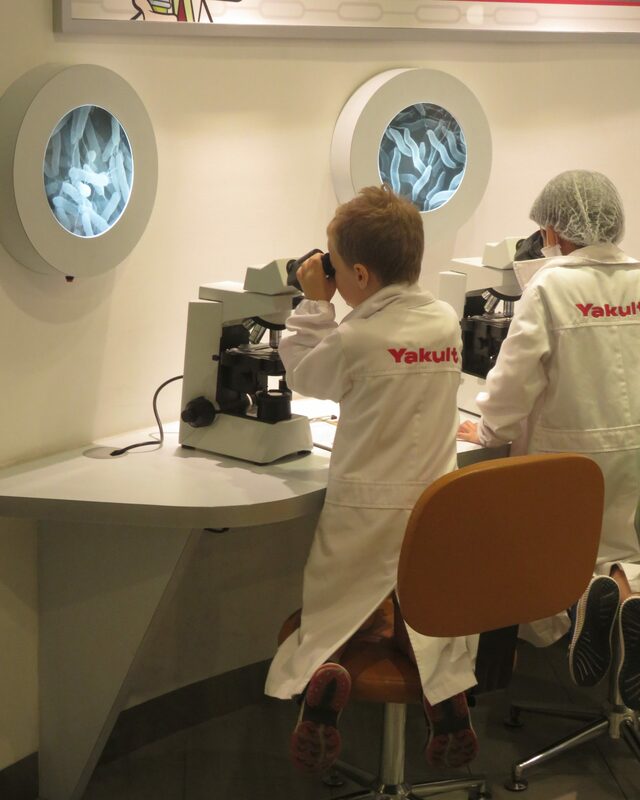 ice-cream maker – Paddlepop, cabin crew – Qatar Airways, junior scientist – Yakult)! Afterwards they were able to eat their creations. After this they were all candy makers and took away with them some of the candy they helped create. By this time they were all getting hungry. No worries there, pizza maker time! 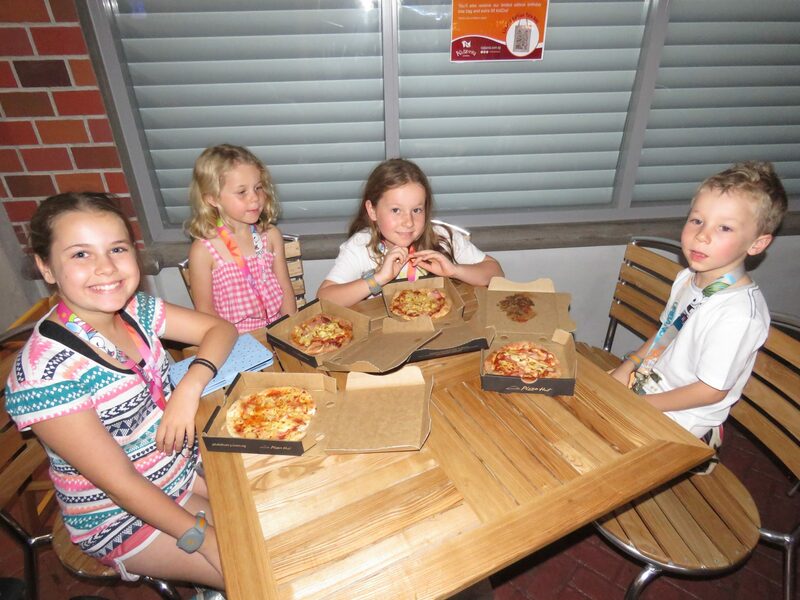 All four became Pizza Hut workers and made their own individual pizzas which they then ate for lunch. 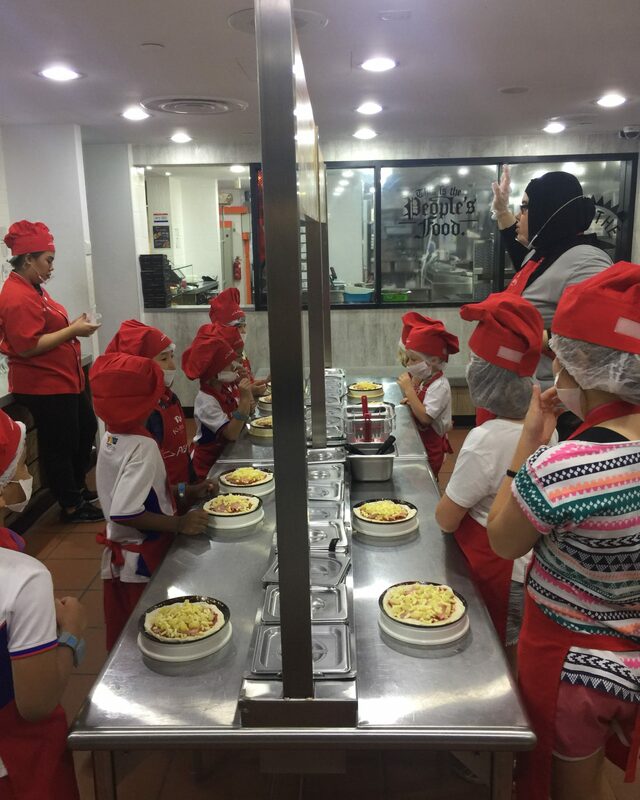 As with several of the other ‘shops’ in KidZania, visitors are able to purchase items for their own consumption too so we sat and ate pizza with them. Straight after lunch the activities continued. We had journalists, surgeons, radio presenters, window washers, museum curators, mountaineers, chicken chefs, scientists, athletes, actors and delivery drivers. The kids had an absolute ball! We just followed them from one activity to another. They took pride in what they did. They felt important and clever. It was truly moving to watch. “But don’t you have 5 kids?” you’re thinking! Ben (2) was too young to participate in any of the activities but for most of the day was happy to just tag along, marvelling at the busy little kid run city and watching his siblings at work. When he did begin to get restless we took him to the kindergarten and play room, two rooms specifically designed to entertain children under 4 years old. Here, there are regular little programs to participate in as well as plenty of toys and equipment to keep toddlers entertained. 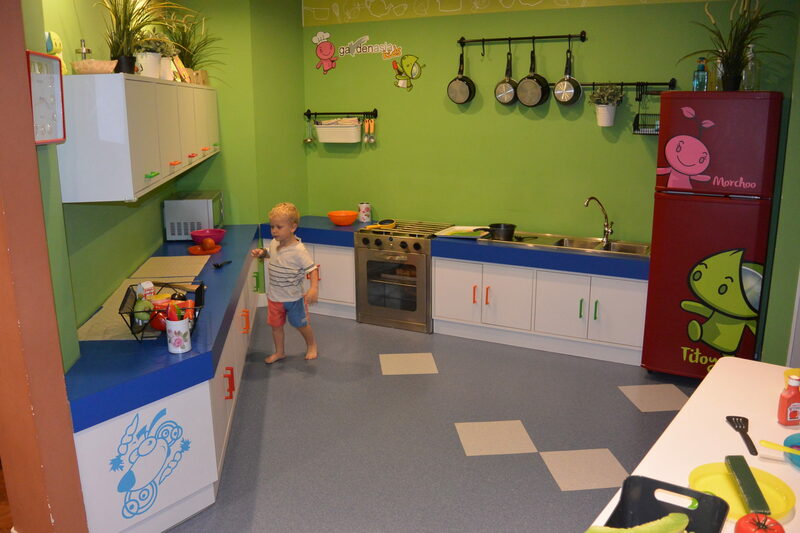 The ball pit, play kitchen and bouncy bedroom were Ben’s favourites. 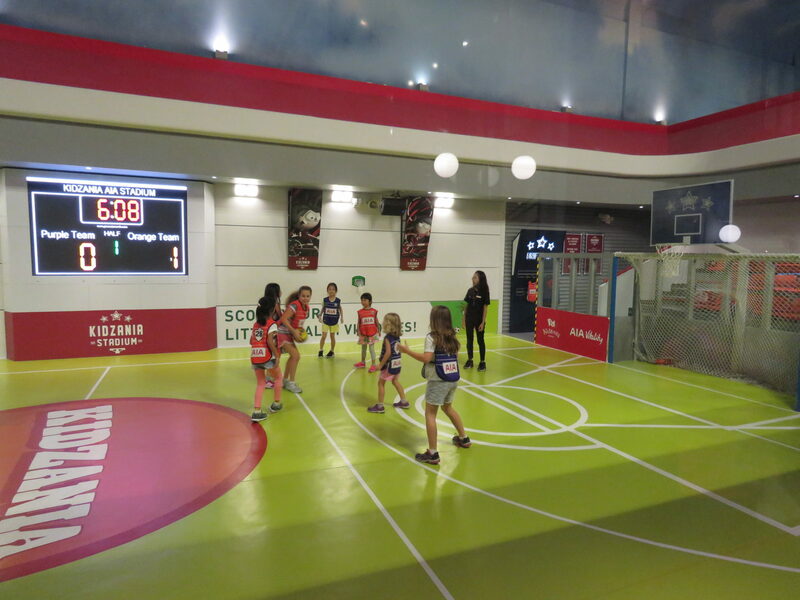 There is also a small ‘adults only’ cafe where parents of children aged 8+ (at this age kids are allowed to explore KidZania unaccompanied) can escape for a little peace and quiet. No chance of us ever escaping here though (at least not for another 6 years…..)! When I first heard that 8 year olds and above could wander the park on their own I was somewhat apprehensive. But then, as we entered, my concerns were completely put to rest. 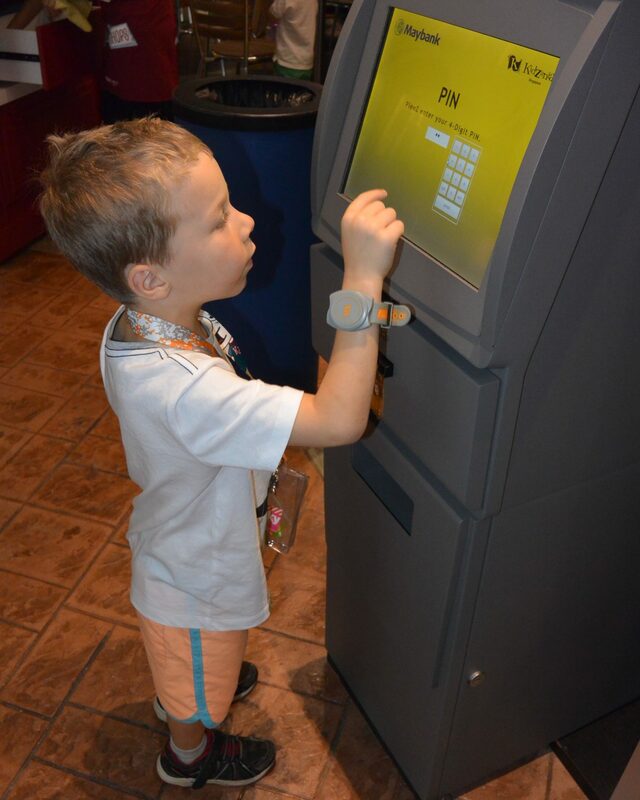 Everyone, adults included, is fitted with an electronic bracelet which matches you with your family. These are scanned and removed at the exit and no child can leave without the adult they came with. On top of this, the park is full of staff members, walking around, watching and helping keep all the kids happy and safe. Elyssa took her acting class very seriously! Anna and Korey were very excited to make there own KFC burgers! Candy making was a crowd favourite! The girls loved the basketball! 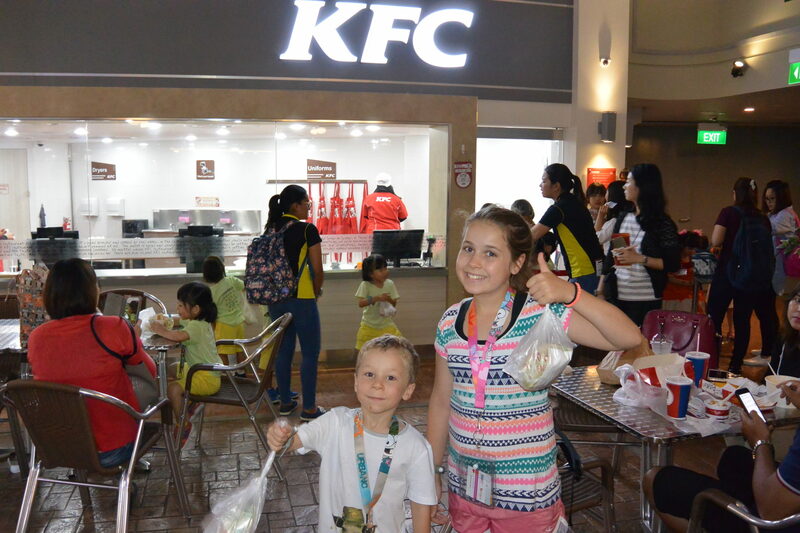 We spend almost a whole day at KidZania Singapore and our kids had the time of their lives. I remember at one point, as I looked around and watched them so excited to be waiting for an activity to begin, I actually got a little teary. I remember being a kid and the kind of things that were fun and exciting and I am certain that this place really is the creme del a creme of awesomeness for any child! 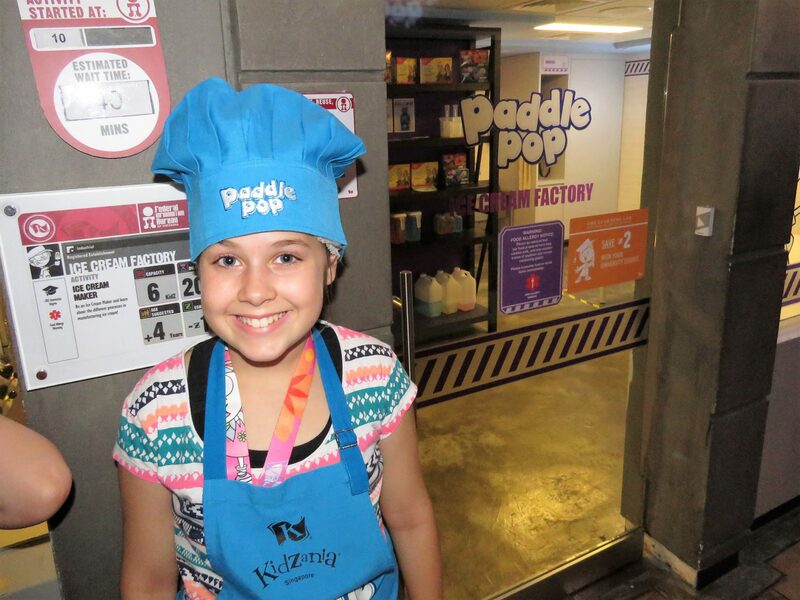 And now that we know there are 23 more dotted all over the world, I can tell you for sure that KidZania will be seeing plenty more of this family over the years to come! 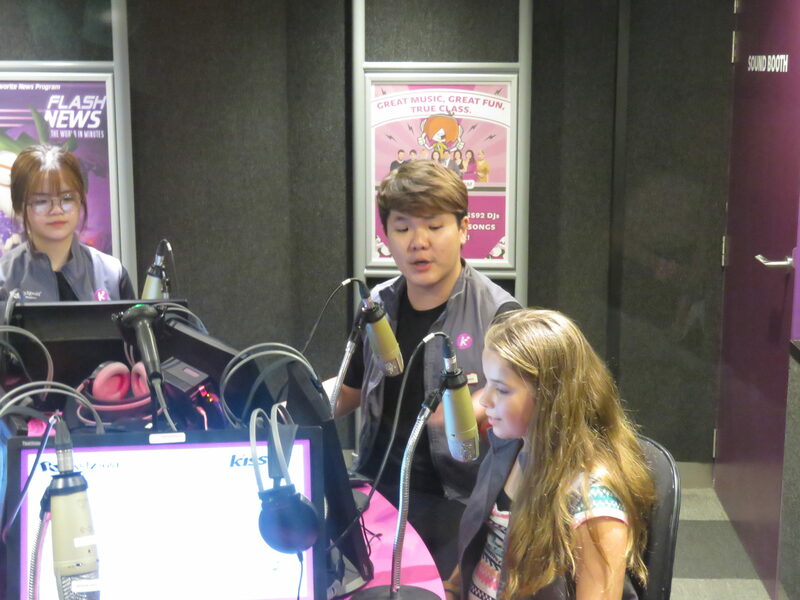 Disclaimer: We were sponsored guests of KidZania. All experiences shared and opinions expressed in this article are our own. Next articleLEGO Star Wars Days At LEGOLAND Malaysia – May the 40th Be With You! I’m glad you mentioned Ben aged 2 and how he was happy to tag along. When I read they needed to be 4 to get a credit card I was thinking about my 3 year old daughter being too young. I’m sure she’d be happy playing in the Kindergarten rooms designed for the younger ones. 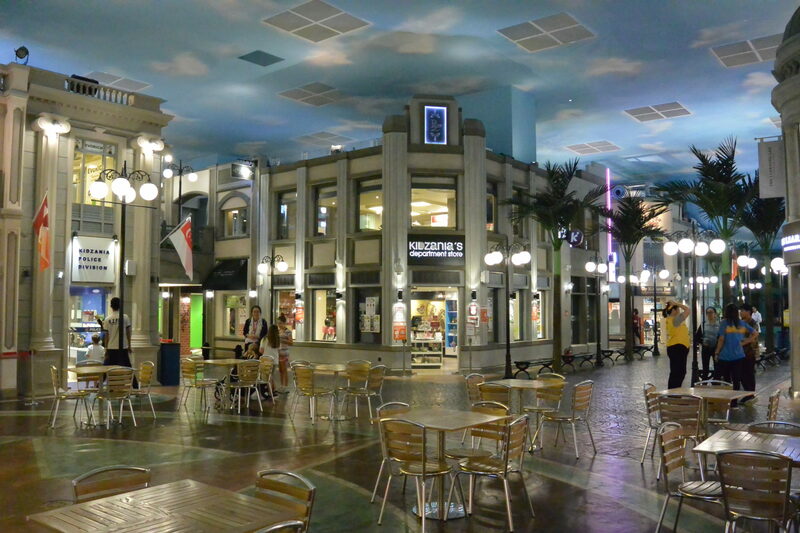 I now know a good place to take her if I’m lucky enough to take her to Singapore, Kidzania! It’s an easy name to remember too. 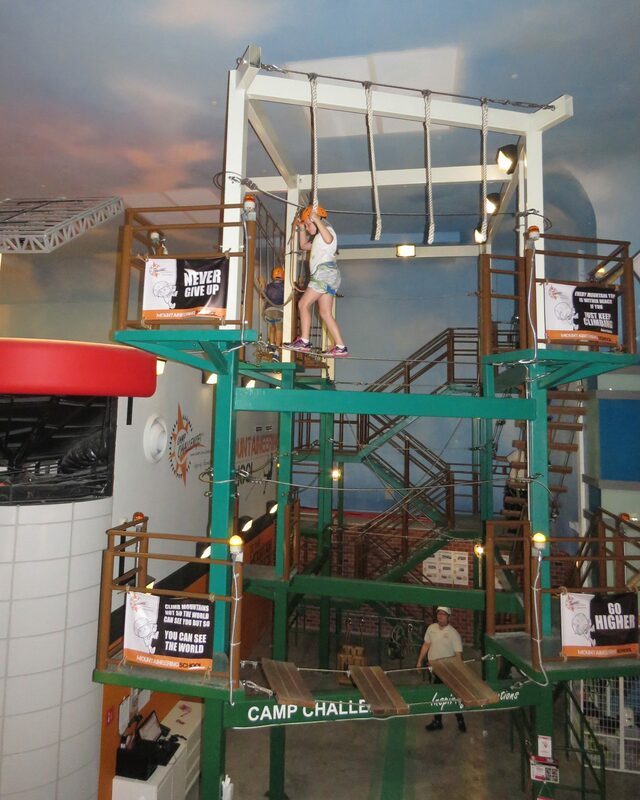 This looks like so much fun and I wish they had something like this when I was a kid!! My niece would love this place but at 4, she is maybe still a bit too young for it. Hopefully they can get some of these places in other places in the world so I can take her to one. I’ve been to a few really cool activity centers but this is a whole different ball game altogether. Thanks for the information because I have two kids and they will love this place for sure. Moreover, we end up in Singapore every few years so it’s definitely a place we would like to go to as a family for a day. So innovative and really glad that they have such an interactive and educational place. 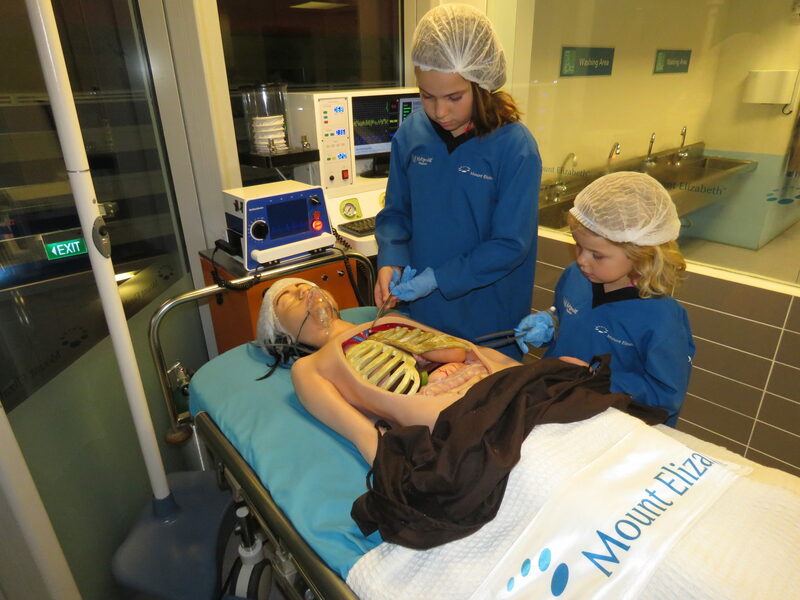 Kidzania does a good practical demonstration of all professions. My son will choose airways related or chef related activity. 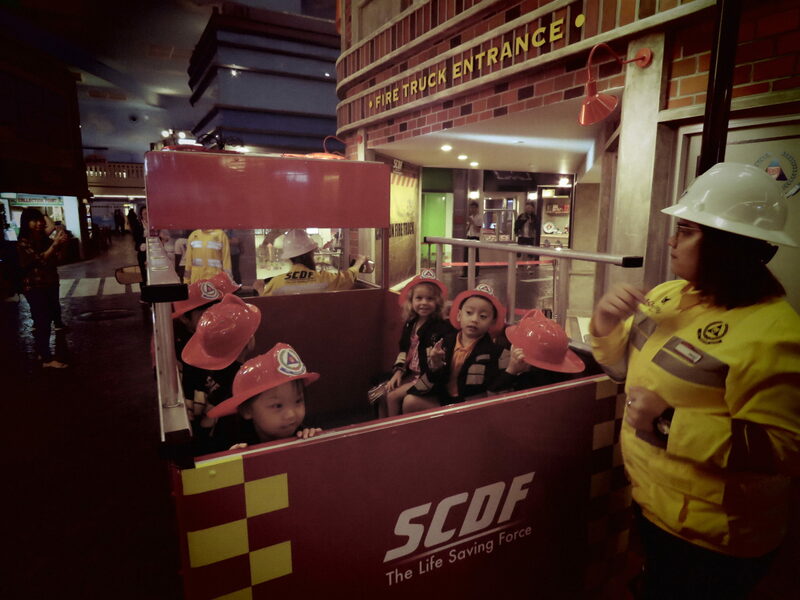 I had been to kidzania Dubai but when in Singapore will give it a try. Haha. So true! Even I keep asking myself the same question that why were so and so thing was not there during my childhood. The kids of today are exposed to much more at such a young age. 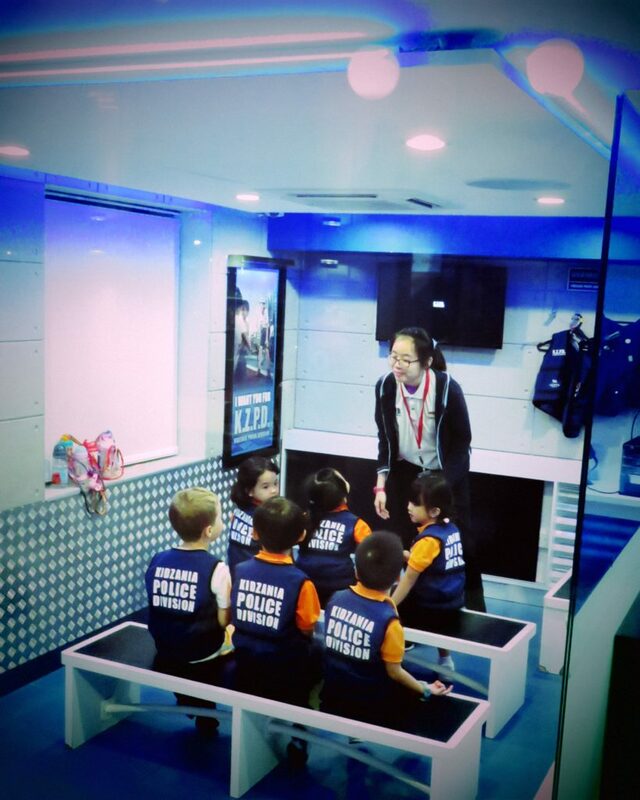 I am glad to know that Kidzania encourages learning in a fun way. OMG I’m obviously not a kid nor do I have any but this honestly looks super fun! I would have LOVED to experience something like this when I was little. 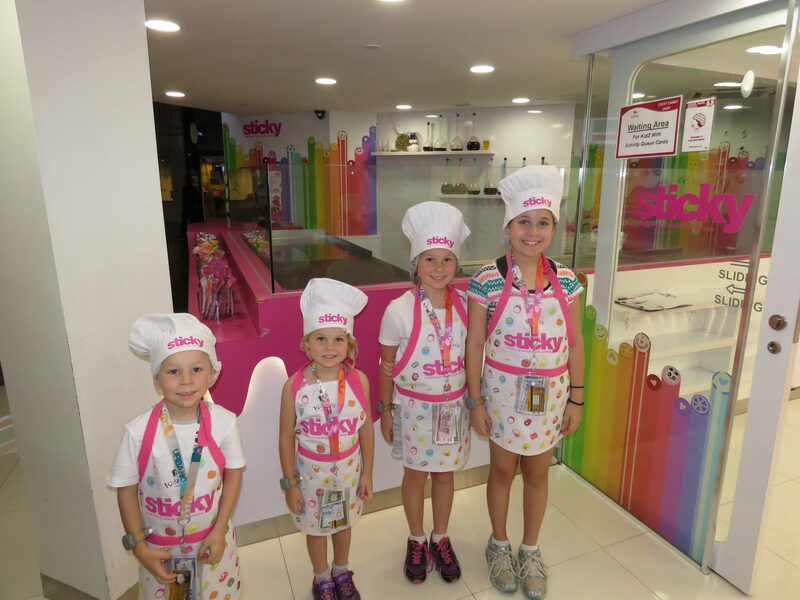 It’s such a cool concept and really seems like one of the coolest places ever to take kids!! This is pretty cool! I am sure that there are lots of kids who want to experience this. The facilities look excellent. I like the costumes too. Lucy looks so cute as a delivery girl.